Present were Ron Williams, Bob Erickson, Frank King, Judith Haemmerle, Stan Paddock, Robert Garner. Bob Erickson and Judith Haemmerle worked on the 513 reproducing/summary/gang/... punch. They made a transmission oil change using the new oil that Judith secured. Frank King is also interested in oil. 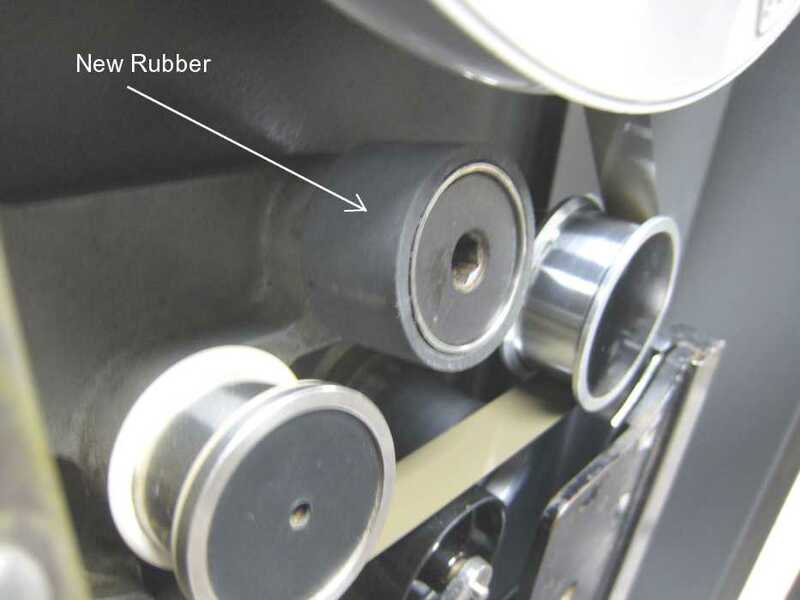 The 1403 printer documentation is very emphatic that improper oil will cause major problems. There are now cans of oil by the 1403. Early on, I took on a project to allow program generation for the CHM's IBM 1401 on a IBM PC and punch the cards on a keypunch from the IBM PC. ... Wednesday, the system worked 1000%. I wrote a small program in IBM Autocoder on the IBM PC, sent the output deck to the keypunch and then ran it on the IBM 1401. I have some advancement I want to make but the system is fully functional as it is. Anybody who would like to see or use the system is welcome to come down to the CHM on Wednesdays from 10:00AM to 3:00PM. Ron Williams discovered that there are now errors in the upper 8,000 characters of memory. He is examining the ALDs to figure what could have gone wrong. Allen telephoned Frank warning the crew not to turn on the 729 tape drive. The semi-functional 729 drive was disabled, so we attached the Emulator directly to the 1401. The direct connection seemed to work well. We fixed several Emulator firmware bugs. The Write Echo Pulse jitter, which was reported last week, was eliminated. We are now responding to all write pulses within 3 microseconds. Jeff's pulse stretching circuit worked well. We are sending perfect 4 microsecond Write Echo Pulses to the TAU. We were able to continuously write records from the 1401 to the Emulator box (off-line from the PC) provided the write operations were separated by 12 milliseconds. When writes were spaced closer than 12 milliseconds, the operations consistently failed. We were able to write records from the 1401 to the PC hard drive. The first record was corrupted. All other records (56 of them) were received correctly. A valid SIMH format file was generated. Present were Stan Paddock, Judith Haemmerle, Joe Preston, Frank King, Allen Palmer, Bill Flora, Ron Williams, Robert Garner. This report by Ron Williams. Judith and Stan worked on the PC to 026 interface - Stan says the clutch in the #4 026 does not work correctly any more. Can't even do regular keypunching. Joe and Frank worked on the keypunch # 3 code plate. Bob E made some parts for the 026 which were installed. Present were Bob Erickson, Judith Haemmerle, Tim Coslet, Ron Williams. This report by Ron Williams. Problems with mis-punches: Last session, there were mis-punches at 29-39 (?) and 47-57(?). These didn't show up before because we were using test cards that were decade counters. Works with 80-80 repro board. Trying 80-80 gang punch:reads one card and punches it back to the following card. Gang punch: left bar up. Gang punch compare: left punch up, lever down. Problem: could it be that the excessive run is from excess air in the oil? Gear box is about 10% oil and 90% air. Otherwise, it's fine. We tested the machine speed: it should run at 100 cards/minute. We got 104 and 103 cards, We need to slow the machine up slightly, so by opening the pulley on the motor (which has a v-belt), it should slow it slightly. This should help with the mis-feeds. Second adjustment (¼ turn \) brought it from 103 to 101 cards/min. We are adjusting the timing, because Note X says that it should be timed when warm to start between 6 and 9. We've been timing it to 8-9, so this might pull it back far enough to coast to the right stopping point. Since the attendance on Saturdays is so limited, should Saturdays be canceled?? Present were: Ron Williams, Bob Erickson, Frank King, Allen Palmer, Judith Haemmerle, Joe Preston, Stan Paddock, Robert Garner, Ed Thelen. At 10:30, Alex Bochannek guided Robert, Frank, Stan and Ed through the Milpitas Warehouse to examine various relics with an eye for spare/replacement parts for 1401, 1402, and 1403 - It is generally easier to get replacement parts than having them made - where possible/practical. Judith had earmarked a large box (fit in a van size) of 1401 maintenance binders for us, which we carried back to CHM. Bob E. and Judith are designing a plastic cover/shield for the 513 reproducing punch in the flavor the the cover/shield for the 077 collator. Stan is offering ideas also. Bob has re-times the machine. That and the new oil seems to have done the trick. Ran various numbers of cards with stops at different brushes. Pretty consistent stopping between 6 and 7: First runs tended to be lower, some below 6, but machine fed ok anyway. Later runs are stopping under 8. 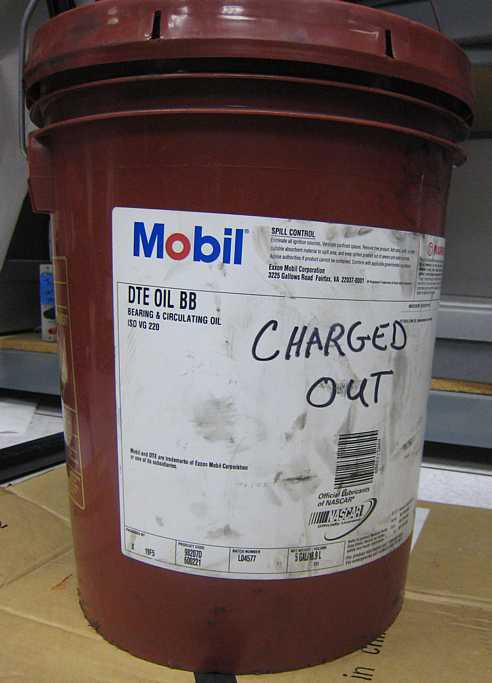 Mobil Oil DTE BB does indeed not change viscosity with use. Wired a “compare only” plug board. Testing the deck we punched last time with the original. We had repeated errors at 6 and 56: changing the wires didn't help. Bob pumped the board in and out of its contacts a few times, thinking that it was probably poor contacts, and that fixed it. When you have an error, it stops at the end of the cycle: you have to run one card to get the cards that generated the error. It's punching a little high. Bob readjusted the punch unit. The feed roller seems to be feeding poorly, so the cards are punched inaccurately on the lower left corner. Even so, it's pretty good now. Make a couple of duplicate decks and compared them. Mostly good: some compare errors were due to faulty wires. Made 2 photocopies of the 405 Customer Engineering Reference Manual, a working shop copy and an archive copy. Allen worked on the semiworking 729 tape drive. Joe on keypunch #3. During lunch we discussed dropping the regularly scheduled Saturday work days (2nd & 4th). It seemed universal that we drop scheduling them. We attached the emulator directly to the 1401 again. Found a few Firmware bugs and a few kernel driver bugs. I set up the Firmware to retain the last written record by the 1401, and return it during the next read operation. By doing this, we were able to check the functionality and performance of the Emulator without using the PC and Windows drivers. We successfully ran Ron Williams' Write-Backspace-Read program at full 1401 speed. Although we were configured to run at 200CPI, the "Go down timing" (interval between tape operations) was our primary concern and the density setting does not effect this timing. We examined major TAU signal timings while the 1401 & Emulator executed this program and found that they followed the manual exactly. This is more evidence that the problem running this program with the most functional 729 drive is a drive problem. We then set the Emulator up to work with the PC via the kernel driver. We were able to execute the first Write and Backspace instructions, but the Read operation is still failing. We have traced the failure to two sources. The firmware is mis-interpreting the Download Record message being sent by the driver and the driver "blue-screens" after the message is sent. Both issues will be further diagnosed at the next session. We are getting close to being able to transfer files between the 1401 and a PC hard drive via the 1401's tape drive interface. We have successfully created a file on the PC by using 1401 tape write instructions and hope to have the read operation and other control ops working in the next few weeks. Copy card decks from the 1402 to PC disk files. Boot a program from a PC via the 1401 Console's "Tape Load" function. Copy 7-tracks tapes to PC files. Copy PC files to 7-track tapes. Do we have a way to create SIMH Magnetic Tape format files from our 1401 cross development tools? If not, could someone create one? The SIMH files must be BCD encoded (each byte is mapped 0-C-B-A-8-4-2-1, with the C-bit set for even parity). We would like an execution time option to generate object tapes that are compatible with the "Read Tape" instruction or "Read Tape with Word Marks" instruction. Report by Judith Haemmerle. Present were: Ron Williams, Bob Erickson, Joe Preston, Judith Haemmerle, Stan Paddock, Robert Garner. 513 Reproducing Punch, There was some kind of trouble making a ripple deck. Being checked in the 1401. Chris Reid came in to talk about being a 1401 volunteer. Robert Garner e-mailed "Thanks for coming in last Weds and bringing in your 40-year old live Autocoder accounting program. ... (Ron Mak, who leads the software group, would be delighted in knowing that you've taught Autocoder classes before.) "
Stan and Joe worked on the 026 keypunch #4. Ron's Write-Backspace-Read program now runs successfully all the way to the PC hard drive. After transferring about 80 records to disk, the program failed and hung in a Backspace instruction. The 1401 then detected an error on every record written or read. We isolated a bad wire warp on in the Analyzer's Read Bus circuitry. We repaired the wire. Now, the Tape to Card program fails intermittently. It usually is able to transfer about 80 records to disk before a failure. There seems to be two problems. Some sort of intermittent error is being detected by the TAU. We don't know what kind of error. When the above error occurs, the 1401 branches to a Backspace instruction. The Analyzer firmware gets stuck in the previous Write instruction and does not recognize the Backspace, causing the 1401 to hang. We think that the error on the Write instruction cause the TAU to terminate it in some unusual way and confuses the Analyzer. We held a meeting on Friday (1/24) to discuss the GUI interface to the Analyzer. The user interface will be presented via browser web pages. Users would be expected to bring their own notebook computers into the 1401 room. Then, either by wired or wireless network connection, they would access the 1401 Tape Analyzer Web Server through their browser. (The web server will be on a private network.) The tape images will be uploaded to the Analyzer. The 1401 can then execute programs upon the tape data. Then, written tape images will be downloaded back to the user's notebook computer. More details will be published in coming weeks. Jeff configured and donated a computer to be used as the Analyzers Web Server. Ron, Bob, Bill Worthington and I were in today. I was working on KP #4. The card feed clutch would not totally lockup causing a rattle problem. Joe and I worked on it and fixed it last Wednesday. The machine did not like to feed cards. Especially green cards. I worked on it today cleaning the feed wheels. It seems to feed fine now. In the process of cleaning the feed wheels, I noticed the bottom feed wheels have a horizontal grove in them from the edge of the cards hitting the same spot every time. When I get a chance, I will rotate the wheels 180 degrees to minimize this problem. Present were: Ron Williams, Bob Erickson, Allen Palmer, Bill Flora, Joe Preston, Stan Paddock, Chris Reid (new volunteer), Robert Garner. Ed Thelen. The first high light was the first successful trial runs of Stan Paddock's PC-2-KeyPunch system. Instructions for using the PC-2-KeyPunch system are here. Another high light was the installation by Allen Palmer of some new and re-furbished rubber parts in our troublesome 729 tape drive. This drive wrote and read simple tape records rather well, but failed to perform some more demanding test and diagnostic tests. Another person (from IBM?) put new rubber on the stop rollers. Bill Flora with Ron Williams improved something on the 1402 card reader - more details to follow. Bob Erickson and Judith Haemmerle worked on the 513 reproducing punch - more details to follow. Joe Preston worked on keypunch # 3. Chris Reid used a keypunch to interpret a 40 year old object deck she has. During lunch, we left the 1401 grinding on Pi to 500 places. Bill Flora said that it looked like it was in an infinite loop. Ed Thelen hoped that it was in a finite loop. The computation finished sometime during lunch, and printed out the correct result. Ron came over with his page 36.31.71-2 and compared with the Australian version - they were different - but had the same revision level and modification dates. OK, Life is tough all over. But Ron was hoping that there was an input from page 42.nn.nn. on either, but there was not. Apparently "our" 1401 does not match either of the different (but should be identical) ALDs - but what can you say? 1401 Tape Drive Emulation status - Bob F. & Jeff S.
Earlier this week, I installed the Apache Tomcat webserver software on the server that Jeff donated. Some trial servlets and JSP pages were also written and tested as a precursor for implementing the Emulators browser based GUI interface. The PIC processor seems to occasionally ignore an interrupt. We don't know if this is a hardware or firmware bug. The problem caused an error about every 100 cards during the Card-to-Tape program execution. The PIC firmware has been patched to recover from the problem. 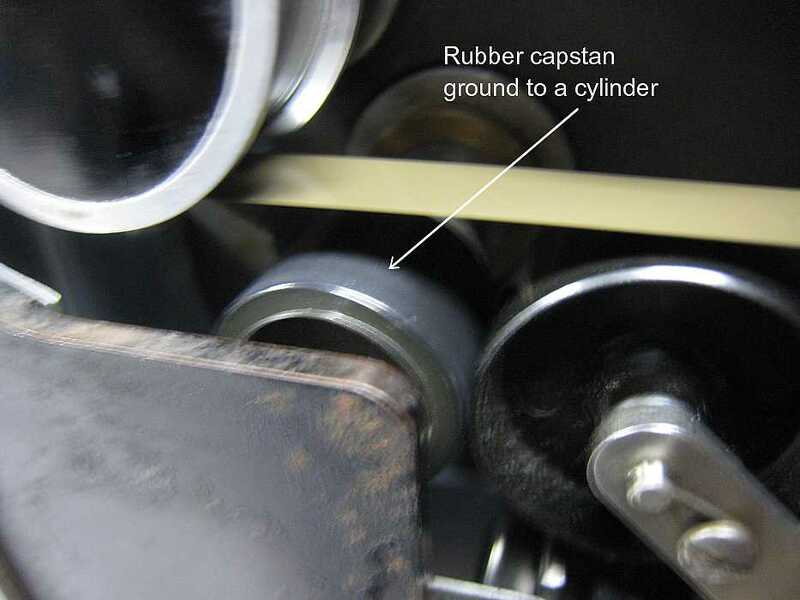 The Card-to-Tape program reacts to a Tape Error by backspacing and rewriting the record. So far, with the patch, this second write has been 100% successful. This permits us to copy punched card decks to emulated tape (PC hard drive) at 1402 Card Reader speeds! We observed the TAU error signal glitch (a 0.4 millisecond pulse) about 4 milliseconds into every Tape Write instruction. We verified that this is normal behavior. In fact, we've identified logic in the TAU that will prevent the Tape Write from succeeding if this glitch does not occur. The glitch checks the operation of the record LRC checker and checks for bits occurring in the inter-record gaps of the tape. We also observed a longer error pulse that occurs at the time that the TAU detects our intermittent error. The error latch was being set about 3 milliseconds after the fall of GO. This is strange, because all activity from the Tape Write instruction is finished by 2 milliseconds after the fall of GO. We don't know what type of error, the TAU is complaining about. The working retry mechanism makes the Emulator capable of transferring card decks to PC files. James Dougherty is working on code that will bring disk files into the Emulator's memory, thus permitting the reverse transfer, PC files to punched cards and boot from PC file. There has still been no response from the 1401 Software Community about building a bridge from the cross development tools to SIMH Magnetic Tape files. I expect that the lack of this bridge will soon become the blockage that impedes the easy transfer of data and programs to the 1401.